An Azure container registry stores and manages private Docker container images, similar to the way Docker Hub stores public Docker images. You can use the Docker command-line interface (Docker CLI) for login, push, pull, and other operations on your container registry. In the following steps, you download an official Nginx image from the public Docker Hub registry, tag it for your private Azure container registry, push it to your registry, and then pull it from the registry. Docker CLI - You must also have Docker installed locally. Docker provides packages that easily configure Docker on any macOS, Windows, or Linux system. Both commands return Login Succeeded once completed. Always specify the fully qualified registry name (all lowercase) when you use docker login and when you tag images for pushing to your registry. In the examples in this article, the fully qualified name is myregistry.azurecr.io. First, pull the public Nginx image to your local computer. Execute following docker run command to start a local instance of the Nginx container interactively (-it) on port 8080. The --rm argument specifies that the container should be removed when you stop it. Because you started the container interactively with -it, you can see the Nginx server's output on the command line after navigating to it in your browser. To stop and remove the container, press Control+C. Use docker tag to create an alias of the image with the fully qualified path to your registry. This example specifies the samples namespace to avoid clutter in the root of the registry. For more information about tagging with namespaces, see the Repository namespaces section of Best practices for Azure Container Registry. Browse to http://localhost:8080 to view the running container. 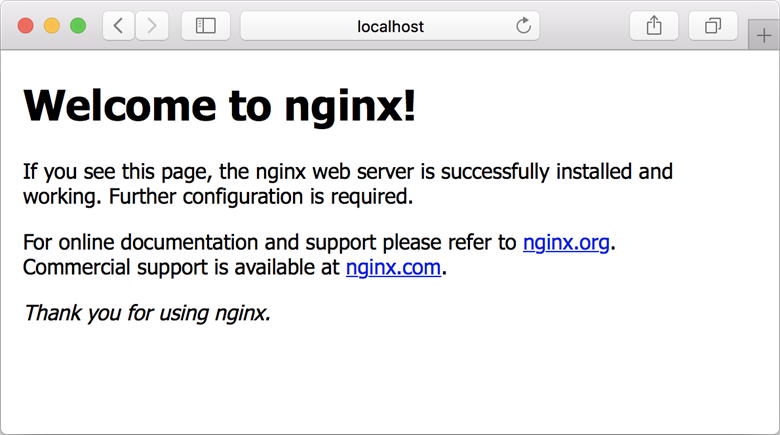 If you no longer need the Nginx image, you can delete it locally with the docker rmi command. To remove images from your Azure container registry, you can use the Azure CLI command az acr repository delete. For example, the following command deletes the manifest referenced by the samples/nginx:latest tag, any unique layer data, and all other tags referencing the manifest. Optionally install the Docker Extension for Visual Studio Code and the Azure Account extension to work with your Azure container registries. Pull and push images to an Azure container registry, or run ACR Tasks, all within Visual Studio Code.